Daniel's parents have retired to Sweden, and all seems well until he receives a call from his father. "Your mother's not well. She's been imagining things - terrible, terrible things. She's had a psychotic breakdown, and has been committed to a mental hospital." But then his mother rings to say: "I'm sure your father has spoken to you. Everything that man has told you is a lie. I'm not mad. I don't need a doctor. I need the police. I'm about to board a flight to London. Meet me at Heathrow." (Source: GoodReads). Daniel then has to decide which of his parents to believe. I was instantly hooked by the premise, and instantly gripped by the plot as soon as I picked up the book. In fact, there was so much tension in The Farm, that I actually exclaimed, out loud, twice! The first was when Daniel's Mum says the simple words: "I told him everything" and I instantly yelled out "NO!" And the second was when it was clear Daniel had made his decision about which parent to believe (no spoilers though). Oh, and the ending too, so I guess that makes three out loud exclamations and luckily for me they all occurred at home. 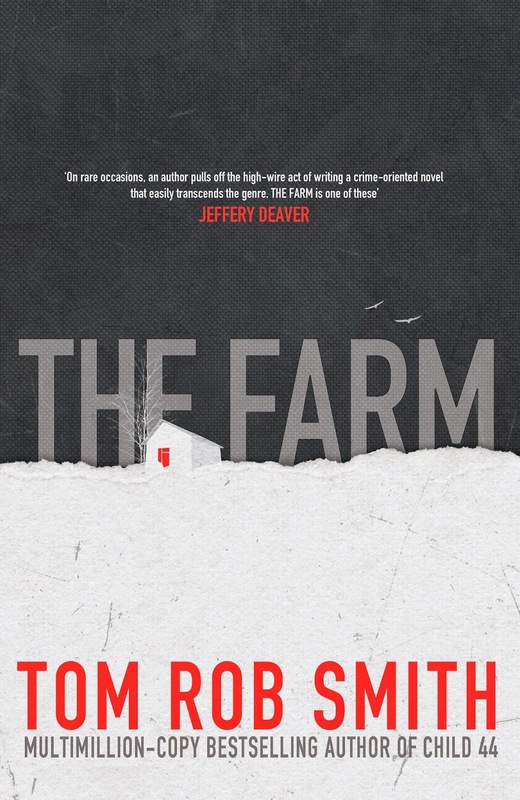 The Farm is a mystery and psychological thriller, which is surprising given the content is not driven by action so much as learning the truth about what took place. The plot is tight and the tension is palpable, and I thoroughly enjoyed it and highly recommend it. I was also pleased to learn the movie rights have been sold, hopefully it's not too long before we can watch The Farm on the big screen. Get it, read it now! Stopping by from Carole's Books You Loved September Edition. I am in the list as #27. My book entry is below. Sorry you didn't enjoy it Carole, what a shame.